MyPartnerForever, a Russian women dating service introducing single women from Belarus, Russia and the Ukraine, recently partnered with marriage agency Victoriya from Mariupol, Ukraine. Per their cooperation, the two agencies now offer all the services local women and foreign men need to find each other and develop a relationship. 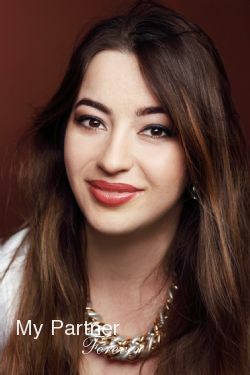 MyPartnerForever.com, an international dating and matchmaking agency featuring single Belarusian, Russian and Ukrainian women, recently partnered with marriage agency Andrey from Sumy, Ukraine. Together, the two agencies now offer a wide range of services for their clients seeking a Ukrainian bride. My Partner Forever, an international dating and matchmaking agency featuring single Ukrainian women, recently partnered with well established marriage agency Liliya from Poltava, Ukraine. By concluding this partnership, the two agencies offer a wide range of services for their clients seeking a Ukrainian wife. 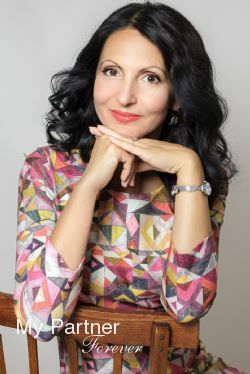 My Partner Forever, a leader in Ukrainian women dating and matchmaking, has recently partnered with Ukrainian marriage agency Elena from Nikolaev, Ukraine. This new partnership consolidates their position as the leading international marriage agency in Ukraine. MyPartnerForever.com, a leader in Russian Women Matchmaking, has partnered with Ukrainian marriage agency Elena from Odessa, Ukraine. Elena and her husband Gleb are well known among Odessa single women seeking a life partner from abroad. MyPartnerForever.com, a Canadian based international matchmaking website, recently translated the main informative pages of their website in Swedish. This initiative was in response to an increasing number of Swedish men seeking a wife in Russia. MyPartnerForever.com, a Montreal based international dating website, has partnered with Russian marriage agency Alla from Moscow, Russia. Their new partner will offer their experienced matchmaker services for their clients. MyPartnerForever.com, a Montreal based international dating and matchmaking agency, has partnered with Russian marriage agency Kseniya from St Petersburg, Russia, who specializes at introducing thousands of single Russian women seeking foreign husbands. The two agencies are planning to offer a wider range of services for their clients. MyPartnerForever.com, a Montreal based international matchmaking website, recently translated the main part of their website in French. This new feature will allow French speaking users who are seeking a Russian wife to use their services. My Partner Forever, a Montreal based matchmaking and dating agency has recently partnered with Ukrainian marriage agency Alyona located in Zaporozhye, Ukraine. Their matchmaker service features hundreds of single Ukrainian women seeking foreign husbands. The two agencies plan to offer all services required by foreign men seeking a Russian wife.